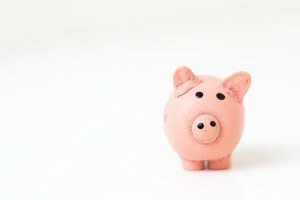 Two Ways to Save Big on Health Insurance - Allay Inc. The Affordable Care Act leveled the playing field, helping millions of previously uninsured Americans access health insurance. However, this shift contributed to large premium increases for businesses from coast to coast. 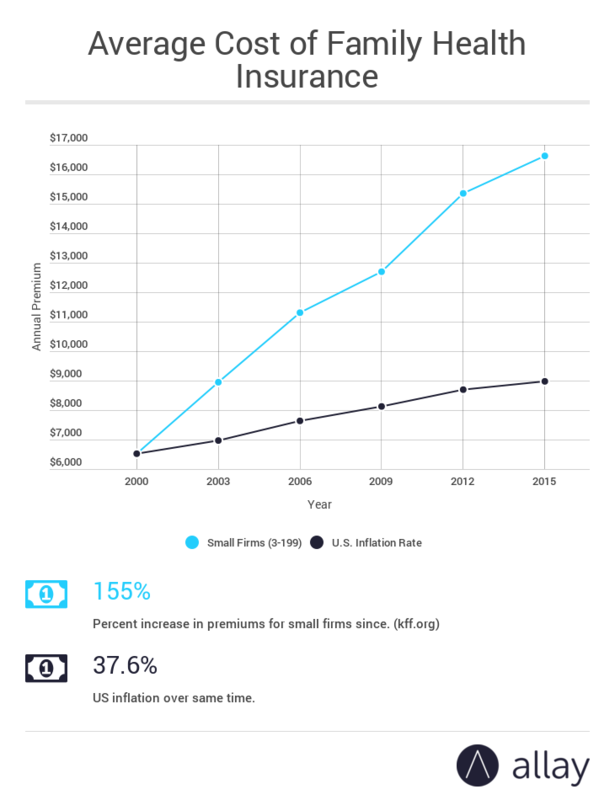 Premium increases go beyond the Affordable Care Act, though, and according to the Kaiser Family Foundation, average premiums for families covered by their employer have gone up 155% for small firms (3-199 employees) and 180% for large firms (200+ employees) since 2000. Whether you provide health insurance to your employees or not, you’ve surely noticed that costs keep rising. There may be a difference in quality with public exchange plans due to narrower hospital and doctor networks, and even if quality was similar, the chance of paying high out of pocket costs for going out of network is increased. Whether you provide health insurance to your employees or not, you’ve surely noticed that costs keep rising. If you’re looking at the high cost of health care and feeling deterred, take solace in the fact that there are other ways to fund coverage rather than just buying a standard plan. Exploring these alternatives could help you save money, control and predict costs over time, and provide your employees with great health care at the same time. In this post, we’re going to explore level funded insurance and insurance captives. We’ll look at both options at a high level, outlining what they are, and reasoning out when and why both level-funded insurance and captive health insurance might be worth exploring for you and your business. There are three general ways to fund insurance: full insurance, self-insurance, and level-funded insurance. There are three general ways to fund insurance: full insurance, self-insurance, and level-funded insurance. Full insurance is what people typically imagine when they think of insurance: transferred risk and outsourced administration to an insurer. In return for them taking on the risk, you pay their premiums. Self-insurance is another insurance method, especially popular with large companies with deep pockets. With self-insurance, companies take on the risk—you pay the claims out of your own coffers, so costs can fluctuate a lot. But you do pay significantly lower premiums (since you’re only paying administration fees and reinsurance premiums). Level-funded insurance lies between those two options but is still technically a form of self insurance. Level-funded companies become the insurer of their employees, just like they would in a completely self-insured plan—except it’s structured in a way to control cash flow rather than riding large potential swings in claims costs. The monthly payments are split between stop-loss insurance, money set aside to cover claims, and plan administration fees. Administration fees are used to run the plan. Stop-loss insurance mitigates the financial risk if claims get too expensive. And if, by the end of the year, claims are less than the money set aside to cover claims, you get a credit back. If claims go over, the stop-loss policy is activated. This structure helps you keep your monthly payments level, rather than subjecting you to high fluctuations in monthly claims payouts. The Affordable Care Act demands that all insurers’ insurance plans provide ten essential benefits. Self-insurance plans are free from that demand; make sure you review your plan carefully with an advisor so your team gets the benefits they deserve. You can also avoid state health insurance premium taxes, and state requirements for health insurance: self-insurance plans have to be ERISA-compliant instead. You also don’t have to pay the Health Insurance Carrier’s Fee (though no one has to pay it in 2017). Before you run to get a level-funded plan, you should be aware of the risks. Level-funded insurance only reaches its full potential if you’ve got a relatively healthy team. Say you go over your claims, and your reinsurance rates go up. If this happens again the next year and your rates go up again, by your third year you might be paying the same price as full insurance. The word ‘captive’ generally has people thinking of kidnapping and ransoms, but don’t worry, captive insurance isn’t so scary. Back in the seventeenth century, all international trade was conducted with ships. These ships were all owned by different merchants, who all dealt with the same hazards of doing business: pirates, storms, mutinies, the works. If they lost their cargo, they probably also lost their ships—which meant that they didn’t have a clear way to recoup their losses. Individually, they couldn’t afford to keep losing ships and their cargo, but they could come together, pool their risk, and cover themselves. In America, insurance captives became popular in the 1950s. They’re still a strong option today, especially if you work for a particularly small SMB that doesn’t have the revenue for self or level-funded insurance on its own. Captives, like level-funded plans, also have to be ERISA compliant. Unfortunately, a captive is not something you can just decide to be a part of. Captives have to be formed and approved, and have enough members to justify the risk. According to the Kaiser Family Foundation, 41% of small firms not offering coverage last year said that the cost of health insurance was the primary reason that they did not offer coverage. Health care doesn’t have to have unpredictable pricing hikes every year. Every method of insurance funding has its own benefits and drawbacks, but if you are concerned with costs and you want more visibility on what next year’s premiums will be in advance, talk to a good advisor to find out whether level-funding or a captive can work for you. Learn more about alternate funding strategies from an independent expert advisor. Go here to learn more.